It’s nearly finished, and if you buy it today you will get it for only 9 dollars. That’s like two Starbucks coffees for hundreds of hours of work. And you’ll have lifetime access, so you’ll get more videos and worksheets as they are added. A little trick that you find helpful when doing sentence transformations. It doesn't work all the time, but it can be quite helpful. Are you ready to take Cambridge English: Advanced? 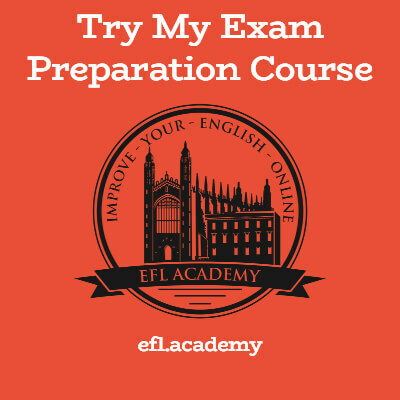 Take a free online Reading and Use of English test and find out! Full details in this article.